Born and raised in Paso Robles, California, Corey Jordan studied piano as a child at the insistence of his mother. At the time he was less than happy with his weekly classical lessons and loathed his studies and practice time. When he was 12, he quit playing altogether and followed his father’s footsteps into dirt bike racing. He began winning races almost immediately and rose quickly in the amateur standings. By age 16, he was on track to become a professional but the sport had lost its appeal and he had suffered numerous broken bones and other injuries. He returned to a more “normal” life, graduating from Paso Robles High School and then studying 2 years at Cuesta College. The feel of music was in his blood though and he soon entered the Los Angeles Recording School, a division of the larger Los Angeles Film School. 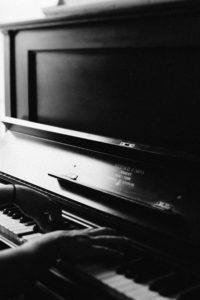 Discovering an aptitude for producing music, he also reconnected with the piano and realized how much joy he got from playing it. His summers and other school breaks were spent working for his father’s construction company, but Corey soon realized he would need to immerse himself full time in the music industry if it were to become the career he hoped it would. He relocated full time to Los Angeles and began producing music. At first it was dance and hip-hop numbers along with some jazz and blues. 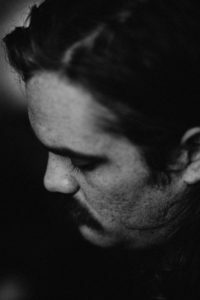 The connections he made along the way brought him work in other genres, and he soon moved into writing and producing full classical orchestrations, movie trailers, and short film soundtracks. 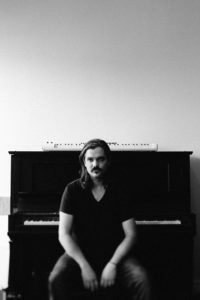 One of the connections he made was with his long time idol Aaron Gillespie, drummer, lead singer and producer of the metalcore band Underoath. This relationship led to Gillespie working with Corey on his debut album “Backwards”, released in January of 2017. The songs were written and produced in one week at Corey’s apartment in Paso Robles, and recorded in a local studio. A listing on Craigslist for a piano caught Corey’s attention in 2014 and he discovered a 1914 Steinway O that had belonged to Golden Gate Park Band conductor Alfred Arriola, and now his family, since the 1920s. Seeing the piano he knew he had to have it. After writing a quick contract and leaving a deposit, Corey rushed home to sell what he could to buy it. It has since become a professional tool as well as a treasured part of the family. Feeling as though so many of the good things in his career had happened to him in his native Paso Robles, he decided to give up his Los Angeles apartment and make Paso Robles his hometown once again. His beloved 1914 Steinway now sits in a 1910 downtown Paso Robles apartment that also serves as his production studio and occasional concert venue. He enjoys the small town community and camaraderie, and the opportunity to embrace and influence the cultural changes taking place there. Corey shares his music as often as he can with the community. He holds small gatherings in his apartment that combine wine tasting, small bites, music, and conversation. He was honored to be asked to open the 2018 Paderewski Festival, an annual four day celebration of Paso Robles’ rich heritage and its most famous pianist, Ignacy Jan Paderewski. His recent inclusion in the “101 things to love about Paso Robles” featured in the Paso Robles Daily News was a pleasant surprise and a happy confirmation that he’s headed the direction he wants to go.